Nutri Ninja Auto-iQ Blender for just $79 + FREE in store Pickup!!!!! reg price $120!!!! 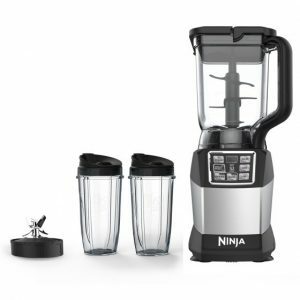 Head on over to grab a deal on this , Nutri Ninja Auto-iQ Blender for just $79 + FREE in store Pickup!!!!! reg price $120!!!! 12″ Dora Pets Sidewalk Bike, White for only $39 + FREE in store Pickup!!! reg price $69!! Magic Star Learning Table™ for only $25.49 + FREE in store Pickup!!! reg price $38!! Sony SRSX11 Ultra-Portable Bluetooth Speaker (Black) for just $28.99 + FREE shipping !!!! reg price $100!! Ergonomic Baby Carrier for Infants and Toddlers – 3 Carrying Positions – 100% Cotton Machine Washable! ,for just $14.99 !!!! reg price $70!!! !